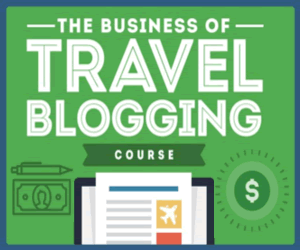 Travel writers, do you have a blog or website? If you do, you could monetize your website by applying to affiliate programs. Affiliate marketing is basically being an independent sales representative for online companies. Simply promote products and services and earn a commission. It’s that easy! 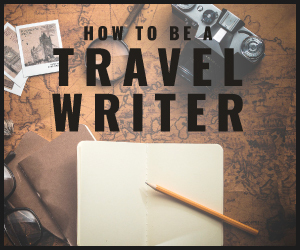 This is a great way to make additional income from your travel writing. Choose affiliate programs that your readers will purchase. You can sign up with an affiliate directly or go through an affiliate network. Another way to “jump start your writing” and make money from an affiliate program is to look for publishing companies that have affiliate programs. For example, Hunter Publishing has an affiliate program. You could email them about joining the affiliate program. Commission Junction. Maximize your revenue! Display an “advertiser’s ads, text links, or product links on your website, in e-mail campaigns, or in search listings.” Receive commissions when a visitor fills out a form, subscribes to a service, or makes a purchase (sale). Sign up with CJ today, it’s FREE! LinkShare. Join LinkShare’s network today and earn money tomorrow! The bonus is its FREE to sign up! Make money from your website by “earning commissions from some of the world’s best known and fastest growing brands.” Earn commissions by linking products and services that your readers are likely to purchase. LinkShare is an industry leader that helps thousands of publishers earn millions of dollars. Performics. Provides online marketing services and technologies for leading multi-channel marketers. Become a publisher with Performics and earn cash for sales! It’s free to sign up with Performics. Tips and Tricks to Affiliate Marketing! Rosalind Gardner. Rosalind has been a highly successful internet (affiliate) marketer since 1998! Sign up for the FREE newsletter and learn the tricks of the trade. Affiliate Tips. Provides a complete guide on how you can make money online with the best affiliate programs. Find extensive resources on affiliate marketing. A Best Web. This is the world’s largest affiliate forum. Find over 43,000 members and 800,000 posts! What is a banner ad? A banner ad is an ad graphic hyper-linked to the URL of an advertiser. They are usually animated GIF (graphics interchange format). FYI: MacroMedia Flash banners are becoming more popular. The full banner size is 468 x 60 pixels. Some websites limit the file size of the graphic to 12K to 16K. To find out more information on standard banner ad sizes, visit the Internet Advertising Board. Travel writers, the objective of a banner ad is to drive traffic to the advertiser’s website. In most cases, a banner ad will bring visitors to an advertiser’s website they may not have otherwise visited. The real success of a banner ad is if the visitor buys something from the advertiser’s website. Even if a visitor does not click-through, an advertise hopes that the banner ad will somehow register in the minds of your visitors. At some other point in time, your visitors may visit the advertiser’s website because they are now aware of advertiser’s product or service. Travel writers, branding is about getting your visitors “to see you as the only one that provides a solution to their problem.” Therefore, give some thought to the banner ads that you place on your website. A good brand will do the following: deliver the message clearly, confirm your credibility, motivate your visitors, connect your visitors emotionally, and attain user loyalty. Remember, to succeed you must understand needs and wants of your visitors. Make the connection! Wilson Web. Web Marketing Today is a great internet marketing resource which began in 1995. This website is packed with internet marketing essentials. Check it out today! How Banner Ads Work. This article examines how banner ads work. You will become an expert on banner ads in no time. Brandweek. Brandweek is the “leading source of news and information in the U.S. marketing industry and the only trade magazine to offer saturation coverage at all levels of the brand-activation process.” You can stay on top of travel marketing news, trends, and data with Brandweek.com.